Don’t get me wrong, I love my automatic temperature regulating coolerbator. It has been back in business for the last week and a half with the collected duck eggs that I gathered from my Khaki Campbell girls. But, with getting so many eggs, it was about time to step up the production scale into more than one species, and restart my quail enterprise. 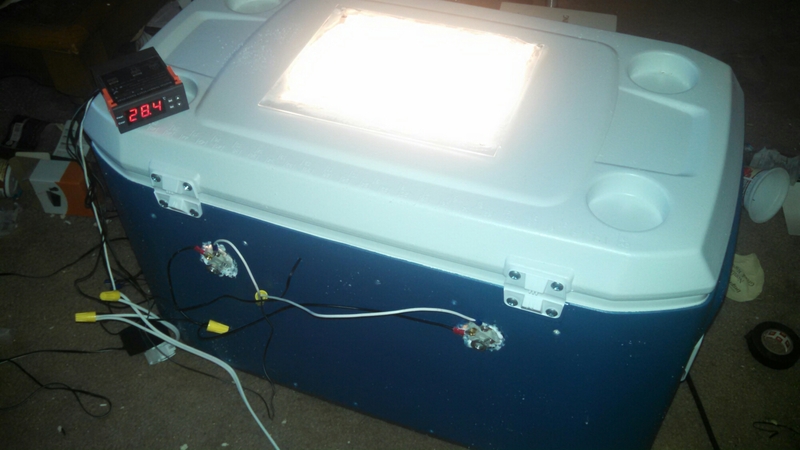 So in I went to Southern States Coop and got me a professional grade incubator, with an automatic egg turner. I have three different thermometers and two hygrometers inside to monitor conditions. 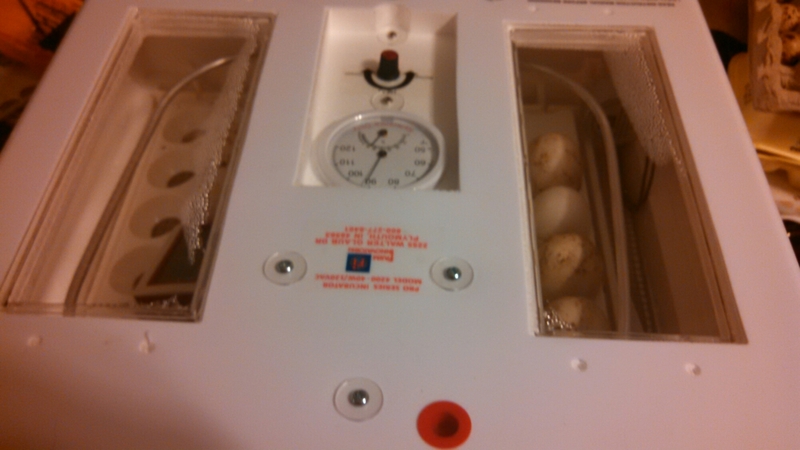 I candled and transferred the developing duck eggs into the new incubator (only one was stinky and showed no development out of 24). The automatic egg turner is a lifesaver! Seriously, the egg fully rotates every four hours, saving me from manually doing it every 12. 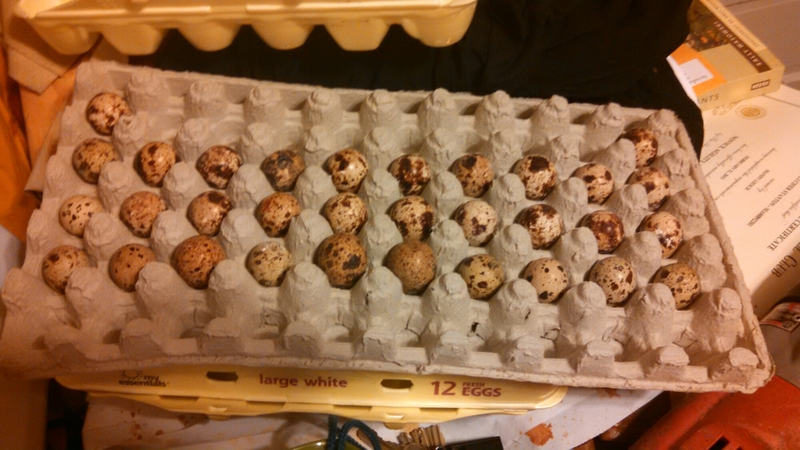 I left the coolerbator on, as we got 32 quail eggs that are in it Tuesday. Eighteen days, going to be epic!.